Almost all of us are aware of the intriguing nature of 'Zero' and 'Infinity'; How profound meanings of existence emerge through these concepts. What some of us do not know that very existence of Mathematics typifies the existence of physical entities. Whether we are talking of cosmic or quantum entities, mathematics images them. The way mathematical formulations structure is same how the physical universe orders. The mathematical concepts have revealed many hidden ways of nature, which were later on experimentally verified. They reveal the scheme at the ultimate level as well. All forms of mathematics, whether we talk of simple geometry or a complex partial differential equation, in one way or the other not only reflect the space-time continuity, they also reveal higher intricacies, such as the manifestation of multi-dimension, the order of parallel universes. One would say physics is about studying physical entities and the laws surrounding them. Yes, physics is about the existence and operations of mass-energy. From emminent understandings of Albert Einstein's theories of special and general relativities, Heisenberg's uncertainty of position and momentum, wave-particle duality to the proposed theory of everything by the model of string theory, physics direct us to a unified mass-energy framework of all that exist and operate. Theoretically and conceptually ignored has been how our perceptivities fit in all this, and how consciousness emerged in the framework of these theories. In fact when we take into account the above two components of universe within the framework of physics, the experimental discoveries not only illustrate our own continuum with all that exist, and clue as to who we are, but also gives a sharper and apparent picture of the scientific readings. In such an all combined scheme, the cosmic and quantum natures, consciousness, perceptovities, the positioning of observer and the subliminal plane constitutionally fruit. The entities of the mental plane are part of the universal framework. All the mind entities (dreams, memories, emotions and creativity) exist within us, interwoven withing an overarching framework. Rationally understanding our own nature, and manifestations of dreams and vesions may help us conceive the truest nature of our own reality. The ultimate state that seers point to isn't independent of the order of space-time that we learn from physics and mathematics. The information from both the angles (physics and the ultimate state) supplement and complement each other in seeing the ultimate flow of space-time. The biology too exists in space-time realm. But that is stating something which is obvious. The biology with all its physiology and chemistry would represent a mass-energy dynamics. Where are 'We' in all of this? So, there is the ultimate nature, and elements of mass-energy that is carried within the conscious living. It is the ultimate nature of "watcher" that is common in the interpretation of physics theories, and the streaming of the biological realm. We are the watcher of dreams during sleep. We are the watcher of the mental plane too. Beyond the passing identities we would be the unwavering "observer." 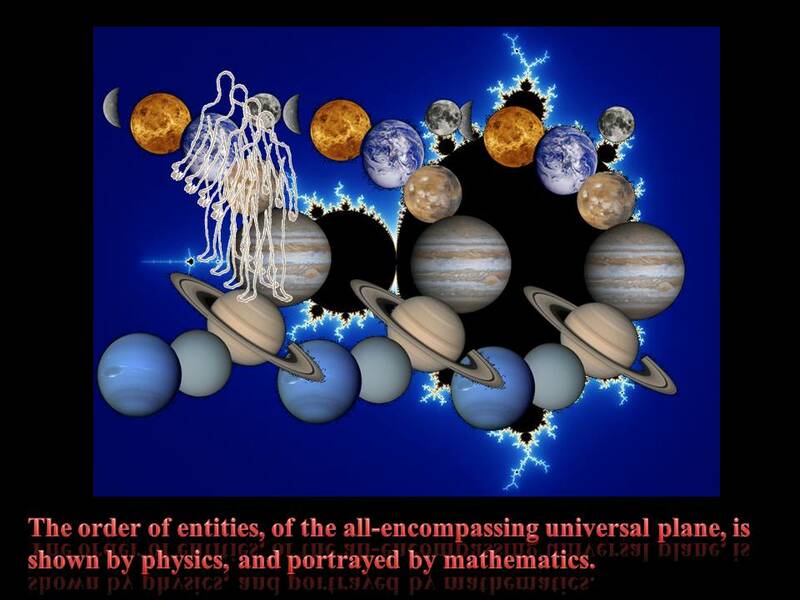 The advanced concepts in mathematics, validated by discoveries in physics, not only highlight how consciousness is a part of space-time continuum they also illustrate in unconditional purity how parallel universes exist through 'perceptivities.' In understanding and weighing the discoveries in physical sciences we must not forget taking into account those entities through which we ourselves exist.